Creating the perfect bathroom for your home can be a struggle between aesthetics and practicality, luckily our bathroom shutters remove the need for compromise! When styling your bathroom and trawling the internet and magazines for bathroom design tips, it can be a constant battle of, “oh that looks gorgeous, but it would be a nightmare to clean” and, “wow how handy, but couldn’t they have designed it a bit better!” Luckily when it comes to your bathroom windows, our bathroom shutters remove the need for any compromise at all! Depending on the size and shape of your bathroom you may decide to go for our traditional wooden shutters, or our newer range of purpose built polyvinyl shutters. As a rule of thumb, taking the polyvinyl option is the smarter choice – you’re far more protected against moisture, heat and of course they are exceptionally easy to clean. Some bathrooms, however, are large enough that our wooden shutters are little affected by the moisture. In these rooms which tend to be in Victorian properties, we tend to see solid elm panels being used. These striking shutters can bring back the original appearance of a window while also providing complete blackout for those ultra-relaxing, candle-lit baths. 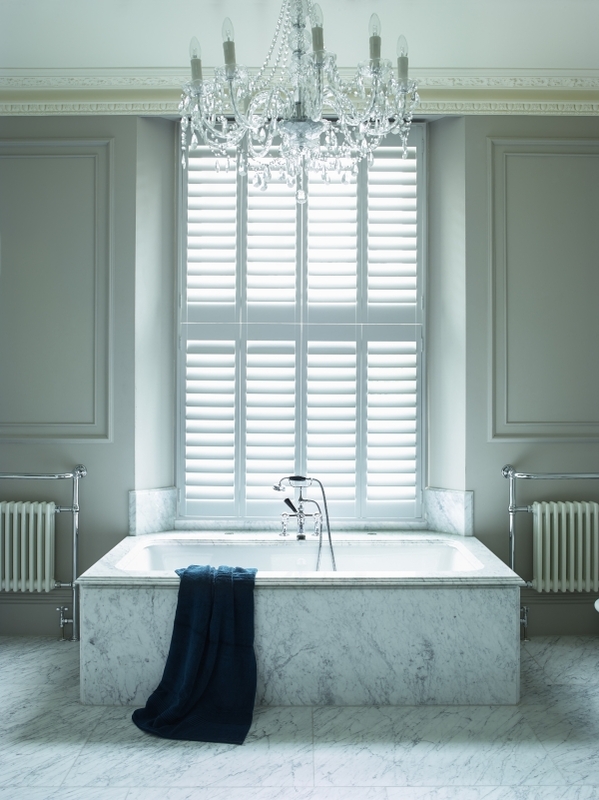 If you are unsure of which material is best for you, or even just interested how much your bathroom might cost to fit window shutters – let us know and we can provide a non-obligation quote.